Looking for mortgage advice? We can assist you! Give us a call today at (303) 300-8601. Ready to get started? Apply Here. When you're promised a "rate lock" from the lender, it means that you are guaranteed to keep a certain interest rate over a determined period while you work on your application process. This keeps you from going through your whole application process and discovering at the end that your interest rate has risen higher. Rate lock periods can vary in length, anywhere from fifteen to sixty days, with the longer period usually costing more. The lending institution will agree to freeze an interest rate and points for a longer period, like 60 days, but in exchange, the rate (and sometimes points) will be more than with a rate lock of a shorter period. In addition to choosing a shorter lock period, there are more ways you can attain the best rate. A bigger down payment will give you a reduced interest rate, because you will have more equity at the start. You can pay points to lower your rate over the loan term, meaning you pay more initially. One strategy that is a good option for many people is to pay points to reduce the rate over the term of the loan. 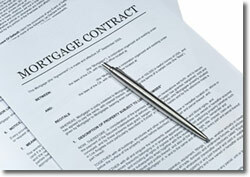 You'll pay more initially, but you will come out ahead, especially if you don't refinance early.